Here’s a quick look at last weekend’s efforts from Nidd Valley. 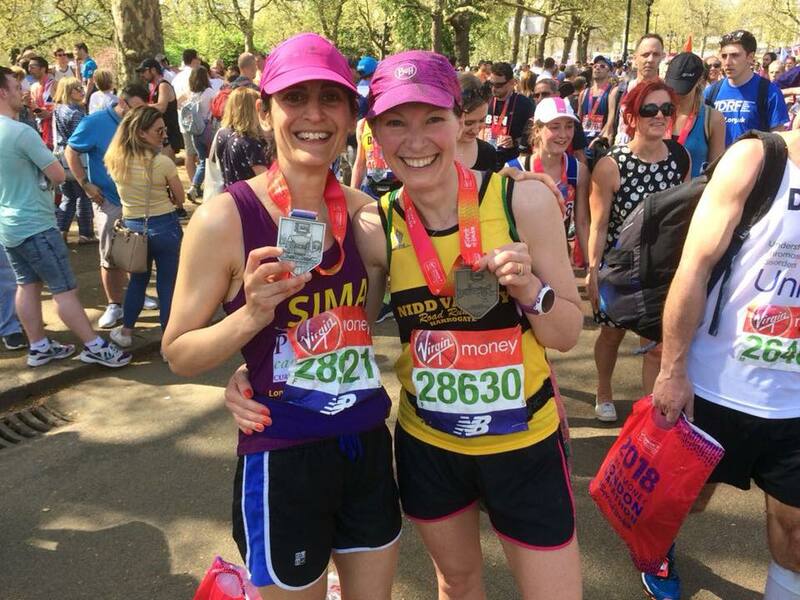 The unseasonably warm weather played a huge part in making it more difficult than usual for our marathoners in London on Sunday, but thankfully everyone made it over the finish line safely! There were some new PB’s achieved this weekend at various parkrun’s across the district. At Fountains Abbey, Russell Geraghty bagged himself his fastest time yet, crossing the line in 22:28, while Debbie and Damien Handslip also achieved PB’s – Debbie finished 29:46 in and Damien in 23:12. At Harrogate, Kaye Kent managed to get her fastest time yet and crossed the line in 26:15. Over at York Racecourse, James Braddon secured PB on the flat and fast course with a time of 18:59, as did Jonny Forster in a time of 20:36. Kevin Nicholas was there to be part of this perfect introduction to what sounds like a really great race series. Kev finished in a time 2:00:50. Everyone likes a good 10k race every now and then, but chuck in a few cargo nets to climb over, some tyres to run through, and lots of muddy trenches, and you have something which is a bit more of a challenge. The Yorkshire Warrior event in Ripley recently was one such challenge, and Nidd Valley was represented by Jamie Dilasser and son Josh. They tackled the 10k course head on and got round it in one piece in a time of 1:24:41. Impressive stuff. 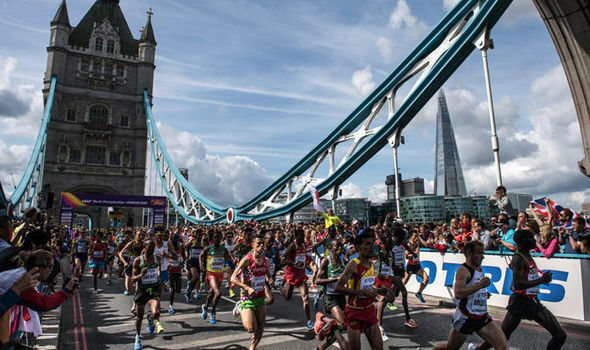 Running a marathon is most on runner’s wish list, and London is the one that everyone strives to enter. You could spend year after year putting in for a ballot place and being unsuccessful each time, or you can get lucky every now and then and receive the magazine or email that says ‘you’re in’, or get a place through the club draw. Other people go the extra mile and put in for a charity place – not only is the training hard work, put you have to push yourself that little bit further to raise funds for the great cause you choose to support. By whatever means you manage to secure a place, you know you are going to take part in a world famous event. Training for such an event is task in itself. People usually start around the October before and train right through the winter. This recent winter has been colder, wetter, darker, and longer than people can remember and this has proved a challenge for everyone training for such an event. You can do all the preparation in the world and have everything sorted with regards to nutrition, recovery etc but it can all come down to the actual day itself. Sunday was one of those days – the weather was the warmest on record for the marathon, and no amount of training could prepare the runners for the conditions. The first Nidd to cross the line was Andy Todd, and he finished in 3:18:18, with Matt Wilkinson next in 3:22:49. Martin Lofthouse was next to finish, in a time of 3:28:22, followed by first Nidd lady home Emma Dooley in 3:47:45. David Shores and Steve Turner, both making their marathon debuts, finished within 30 seconds of each other. Dave crossed the line in 3:58:38, and Steve in 3:59:09. Emma Kettlewell also another marathon first timer, was the next Nidd lady to finish, and she crossed the line in 4:35:48 (Emma managed to spot one of the many celebs running on Sunday – someone called Rochelle Humes. Sings in a band called The Saturdays apparently ), then Bec Carman pushed on to finish in 5:28:30.